Young, orphaned, and a refugee in a foreign land, the beautiful Esther lives a quiet life with her guardian Mordecai until Xerxes, the King of Persia, picks her as his new queen. Becoming queen of Persia might seem like the opportunity of a lifetime, but for Esther it becomes a test of faith and fortitude as she realizes she must risk her life to save her people. Beautifully orchestrated with touching lyrics, Esther "is a gift to both the audience and the cast." "Esther" is being performed by special agreement with Five Lanterns Productions. For information about having your organization perform this musical, please visit 5lanterns.com. Independent films are being made in large numbers all across the country, including in Michigan! If you've ever wanted to get a quick start in film, whether acting or directing or both, here is your opportunity. Local independent filmmaker Lynn Moody (Sisters, Heidi) has won numerous feature film awards and will teach you how to perform in front of or behind the camera. These classes will not only teach technique, but you will get valuable hands-on experience. And you will walk away with your own materials to get you started in the film industry! Class sizes are limited, so register early. There is a fee for each 7 week class. 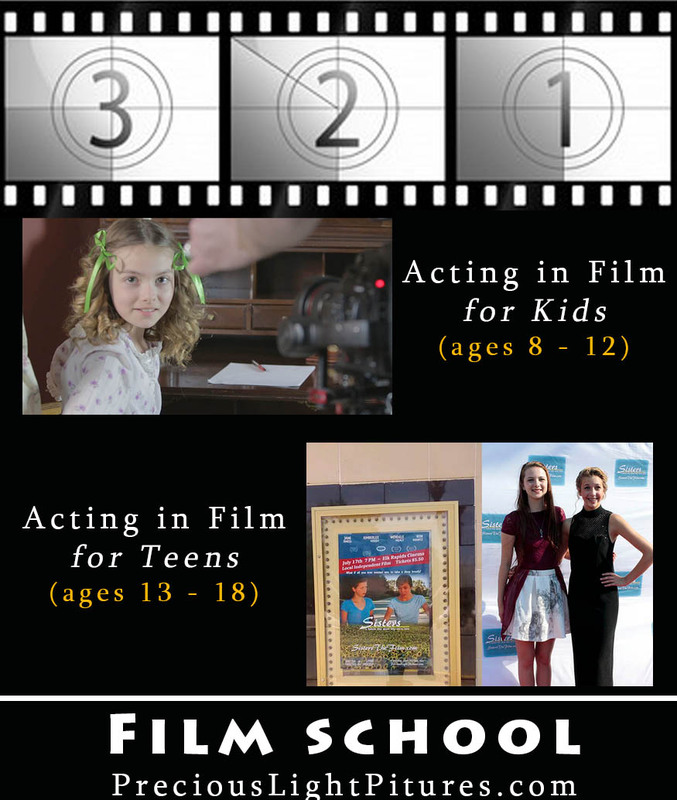 Get the skills to start working in film now! Get more info and REGISTER at PreciousLightPictures.com by clicking HERE. 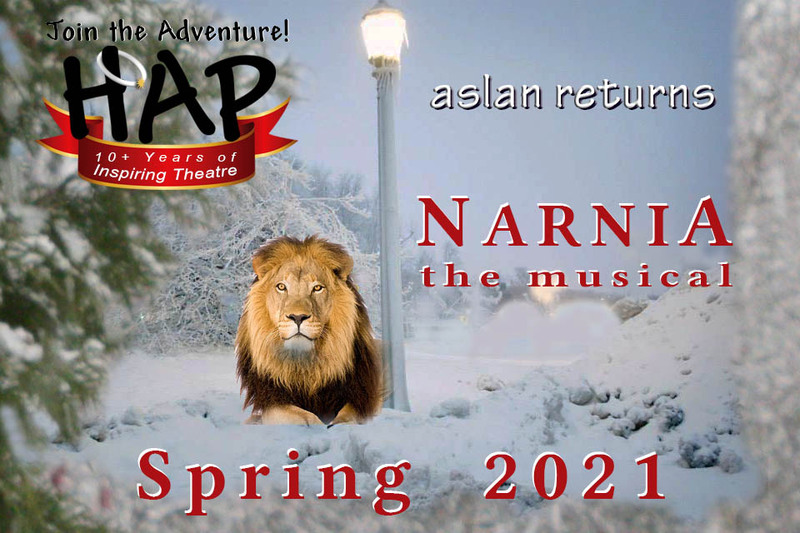 For Christmas 2019 we bring back Aslan with NARNIA, a musical version of C.S. Lewis' classic The Lion, the Witch and the Wardrobe (the dramatic version was the HAP's very first production in 2008). The White Witch has the talking animals, and the whole land of Narnia under a spell so that it is "always winter, but never Christmas"... until the majestic King Aslan returns. 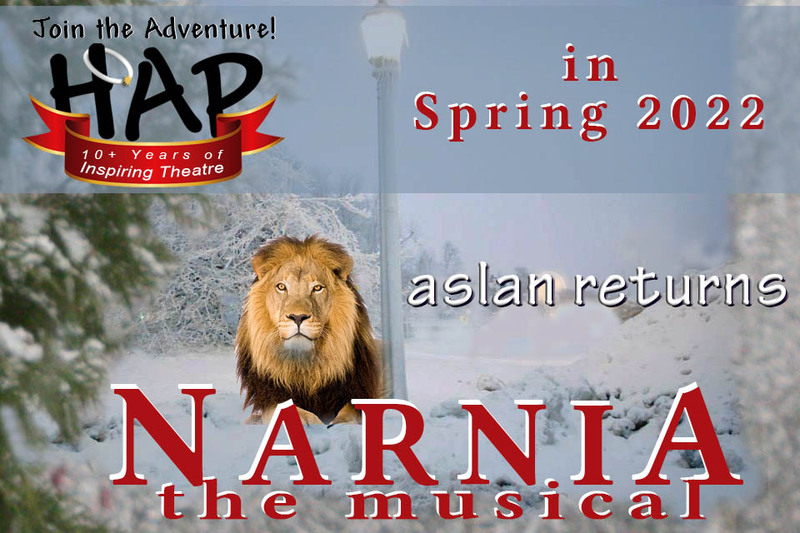 With the help of four children who stumble through the wardrobe into Narnia, Aslan teaches lessons of courage, unselfishness and wisdom, and he will set things right again. But at what cost? From the excitement of the opening song, "Aslan's on the Move," to the joy of "Narnia (You Can't Imagine)," your spirits will soar with this story of love, faith, courage and sacrifice, and its triumph of good over evil. Samples of the book and score are available HERE. by entering the red Security Code into the box below it. Contact us at: or 800-979-2420. 2008 - 2019 The HAP. All rights reserved.